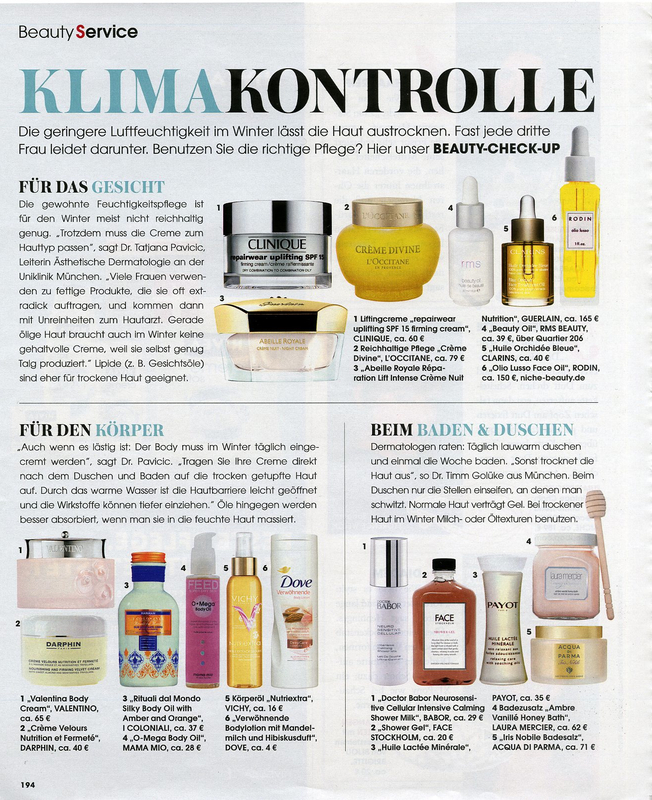 This month’s German InStyle is finally available and filled with more reasons you should ditch your cream moisturizer for a powerfully potent facial oil. Unnecessary additives and greasy formulas are the last thing your face wants this winter so find out what moisturizer is best for your skin type. Your usual moisturizer isn’t rich enough for the winter season. To combat the unusual dryness and cracking skin experiences in cold weather, you may need to upgrade to something more luxurious than what your standard moisturizer can offer. Because traditional products can contain unneeded impurities and fats, try using a facial oil that can provide instant nourishment to thirsty skin. A few drops of the rms beauty oil onto a clean, damp face proves to be the perfect elixir for countering dry skin.